WiMAX (Worldwide Interoperability for Microwave Access) is a core technology based on IEEE 802.16 standard for Broadband Wireless Access (BWA). One of the major consideration for Mobile WiMAX is seamless handoff or handover. Cellular-based standards have the facility of voice call even via internet but to deal handover with mobility is a challenging task. Many services like Voice over Internet Protocol (VoIP), Virtual Private Networks (VPNs), etc. require the presence of seamless connection to connect with near and dear one. Dealing handover is always a challenging topic for wireless technologies. Mobile WiMAX introduces the most significant new feature, mobility to support handovers. Handover delay originates during data transmission but it should be less than a threshold time duration according to WiMAX forum standard for real time applications. This chapter includes WiMAX technology, its architecture, handover schemes and improvements in mobility for handover schemes with QualNet Network Simulator. Wireless networks are rapidly evolving from Global System for Mobile (GSM) telephone networks to third generation (3G), fourth generation (4G) and beyond. Users are so busy, thus they want network access from any place and at any time via their mobile devices. Broadband Wireless Access (BWA) has emerged as a promising solution for last mile access technology to provide high-speed internet access in the residential as well as small and metropolitan sized sectors. This technology has significant influences in the telecommunication industry due to its faster web surfing, quicker downloading, several multimedia applications and reliable voice communications. Few years back broadband services are restricted to cable and Digital Subscriber Line (DSL) technology, which provide broadband over twisted-pair wires and cable modem technology that delivers over coaxial cables. But the practical issues in the deployment of these wire line broadband are not cost effective and more time consuming as compared to the wireless technologies. Implementing broadband access through satellite services is another costlier option with a half second delay between the data transmission and reception. Currently, many areas throughout the world are not under broadband access facilities. Even many urban as well as suburban locations may have been disconnected of DSL connectivity as it can only reach about three miles from the central office switch. But with BWA, these difficulties can be overcome. Because of its wireless nature, it can be faster to deploy and has clear advantage in rural areas and developing countries like India. Though the existing Wireless Local Area Network (WLAN) and 3G technologies have been successfully providing broadband access for the last several years, they have their specific drawbacks, inhibiting their full-fledged growth. WLANs suffer from short range and restricted scalability. On the other hand, the 3G systems have such constraints as low bandwidth and high infrastructural expenses. 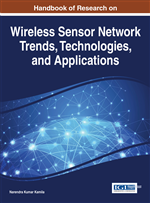 The culmination of the recent IEEE 802.16-based WiMAX family of standards (IEEE 802.16a, 16d and 16e) for Wireless Metropolitan Area Networks has filled this gap between the LAN and WAN technologies. IEEE 802.16 standard forum for BWA promises to offer high data rate over large areas for a large number of subscribers where broadband is in nonexistence. Fixed wireless access with higher bandwidth is the first standard operates in the 10-66 GHz frequency band that requires Line-of-Sight (LoS) propagation. Later, for Non-Line-of-Sight (NLOS) propagation, the standard extended its operation through 2-11 GHz frequency band. It provides data rates up to 75 Mbps over a distance of 50 km in case of LoS. Handover (HO) is one of the key requirements to support mobility and Quality of Service (QoS) for the subscribers. Supporting mobility is a promising as well as challenging feature of the emerging IEEE 802.16e wireless networks. Handover support is a key feature that enables mobility in WiMAX. An important thing is to minimize the handover delay to ensure that the Mobile Station (MS) does not experience service interruption during handover. The research is rapidly growing towards the minimization of HO delay under some unrealistic assumptions. WiMAX can be used for numerous applications, including broadband connections, hotspots, cellular backhaul and high-speed enterprise connectivity for business purpose. IEEE 802.16 is a substitute to cable and DSL for BWA. This chapter focuses on WiMAX technology, handover schemes and analyzes with the performance of velocity adaptive hard handover techniques to reduce the handover delay.